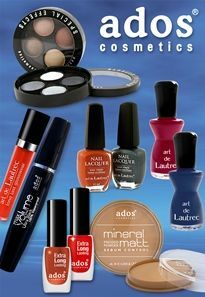 The company ados cosmetics was established in 1980. Thanks to the professional management since this time, company has grown to an important manufacturer and seller of a wide range of cosmetics. Our assortment is specially prepared by our marketing team for different age groups and for women’s specific skin. Raw materials on which we base our production are the highest quality and comparable with global brands. We continue to develop most up to-date designs and shades. Newest trends and looks are already guaranteed. Our European standard laboratory pays a high attention to all materials, we use only chosen ingredients and formulas, which protect sensitive skin. We offer high European quality and marketing service at competitive prices. Customers desires for Private Label are also welcome.